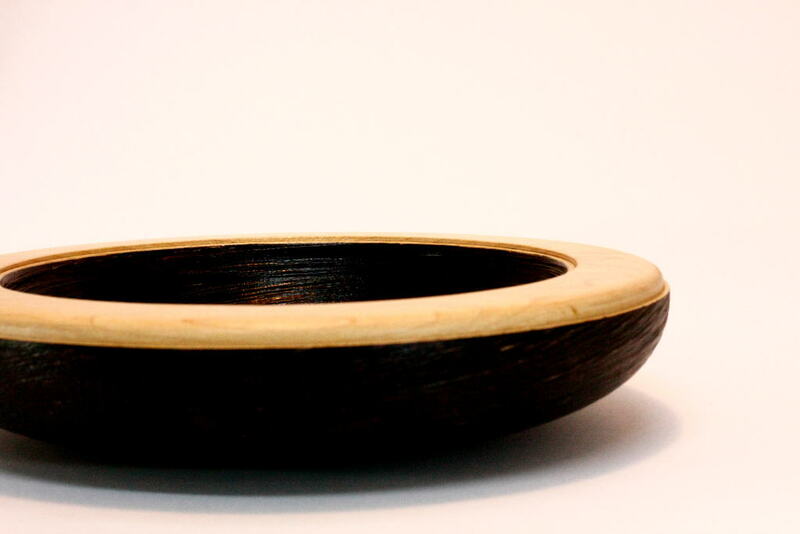 Black and white maple bowl, colored half black and half natural. 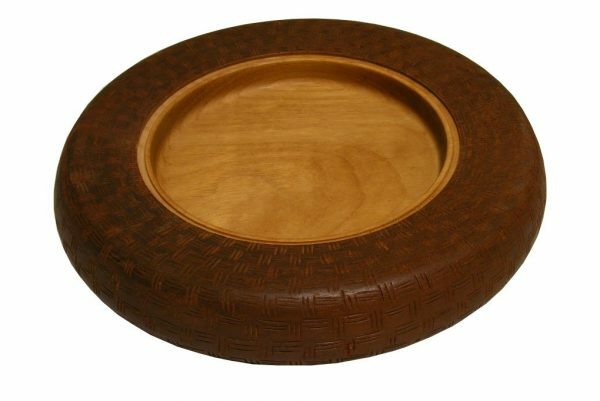 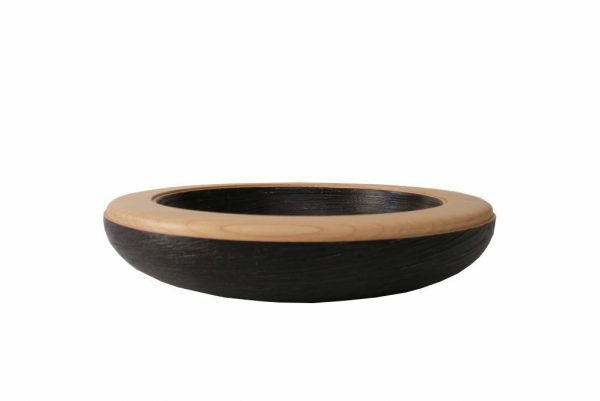 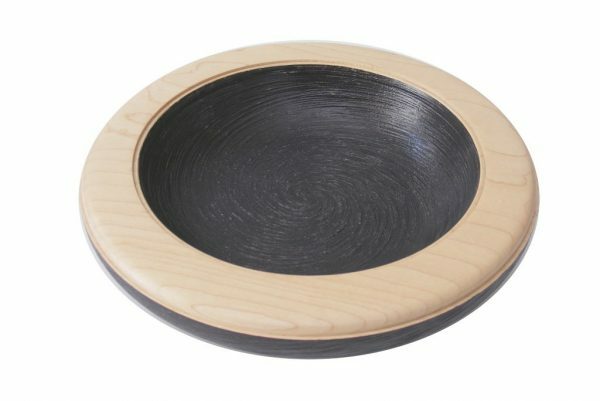 It’s a chunky wood bowl that is textured and painted inside and out, leaving the rim natural. 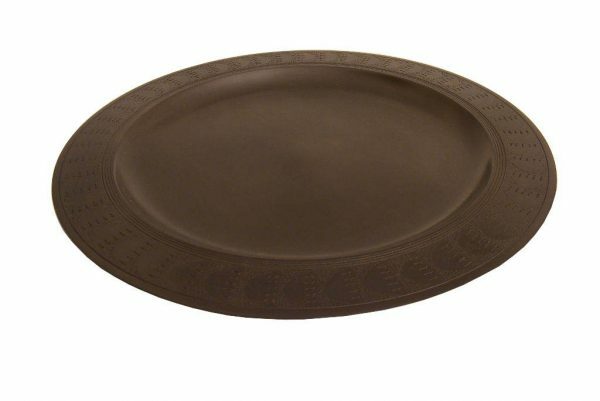 It can be used as a snack bowl, or for fruit, etc.